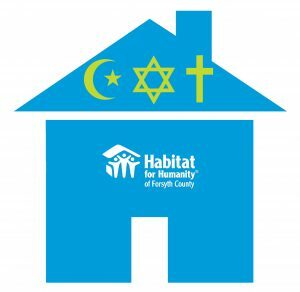 Habitat for Humanity of Forsyth County works with a wide variety of businesses and organizations to coordinate specially-themed houses which involve multiple sponsors from specific businesses, faith groups, and organizations. These projects provide unique opportunities for networking and relationship-building among like-minded organizations or groups. Some of these projects take place annually or on a biannual basis. We are excited to announce the start of Women Build 2019, the only build where most of the fundraising and construction is completed by female individuals and teams. Women Build brings together the collective power of women to fundraise, manage, communicate, build social capital, and volunteer in a powerful way to impact our community. Women have all the skills and passion necessary to build Habitat for Humanity houses, addressing the problem of substandard housing in a concrete way so that families have safe, decent and affordable homes. Women Build began in 1991 by a group of women in Charlotte, NC. It has grown into a national initiative of Habitat for Humanity and resulted in over 2,200 new homes. Through Habitat Forsyth, families earning a low-income gain access to a decent and affordable housing solution. Habitat volunteers get to build alongside the new homeowner, who is required to complete a minimum of 300 sweat equity hours before purchasing the house. Over 80% of our homeowners are single women making this build that much more special to us. Nickels for Nails: Habitat provides boxes for cash or coin donation collection. This is a great fundraising tool for classes, families, or groups. BUILD: Sign up as a volunteer to build on this special house! Recruit others to join you on the build site! Stay tuned for build dates coming later Fall/Winter 2018. For more information on Women Build 2019, contact Libbie Mayr at libbie.mayr@habitatforsyth.org or 336.306.8420. Habitat Faith Builds bring together individuals from different backgrounds and faiths to work together with a common goal of providing a low-income family with the life-changing opportunity to purchase and own a safe, decent, and affordable home. These builds continue to be an interracial and interdenominational collaboration. The positive interaction among members from various walks of life who come together to build the house will encourage mutual trust and inspire hope in our community – while helping a family move out of substandard housing and into a safe and sustainable home. The 2016 Unity Build was the sixth such house to be built since 2000. Since 1985, various congregations have sponsored 69 Habitat faith-related builds around Winston-Salem. With your help, we all can put our faith in action to help a low-income family. You can help by: 1) getting your congregation involved; 2) donating and/or helping us to raise the funds needed to complete the house build; and/or 3) volunteering your time to help build the house. DONATE: To make a donation to the Unity Build you can donate online HERE or send a check to our office at 1023 W. 14th St., Winston-Salem, NC 27105. VOLUNTEER: Sign up to volunteer HERE. No previous building experience necessary! Email Geri Wright for more information: geri.wright@habitatforsyth.org. Forsyth County Habitat Young Professionals devote their talents and resources to make a difference in the lives of families by raising funds and building a Habitat home every other year. Students at Wake participate in build days as well as fundraising efforts to sponsor a house each year – some of their fundraising events include a “Roast for Humanity”, where they hold a pig roast on the quad; Shack-a-thon, which involves groups competing to build the “best” themed cardboard shack. If you are interested in the work that the chapter does, you can contact the current president, Madison Yauger, or the chapter’s advisor, Crystal Crouse. The chapter also regularly uses a mailing list to update members/interested students on upcoming events, which you can join by following this link. Habitat Forsyth’s Youth Ambassadors program brings youth from all over Forsyth County to volunteer with Habitat and play active roles in their communities. HYA holds monthly meetings, as well as planning fundraisers and activities. For questions or more information about these groups, please contact Patricia Flavin at 336.245.9048 or email patricia.flavin@habitatforsyth.org. Throughout our affiliate’s history, we have been blessed with the contributions of local corporations sponsoring homes and bringing company groups to the work-site. Each year Habitat Forsyth has the pleasure of working with both new companies and past partners as they support the efforts of our mission. If you are interested in our corporate builds and would like to know more, you can contact Debbie Cesta, at debbie.cesta@habitatforsyth.org or 336.306.8419 . DONATE: To make a donation as a corporation you can do so HERE or send a check to our office at 1023 W. 14th St., Winston-Salem, NC 27105. Throughout our affiliate’s history, we have been blessed with the contributions of local corporations sponsoring homes and bringing company groups to the worksite. Each year Habitat Forsyth has the pleasure of working with both new companies and past partners as they support the efforts of our mission. DONATE: To make a donation as a corporation you can do so HERE or send a check to our office at 1023 W. 14th St., Winston-Salem NC 27105. Veterans Build is a new program at Habitat Forsyth reaching out to the military veteran community. Habitat’s construction crew, community volunteers, volunteer veterans and active-duty military, and the future homeowners will build these homes. The program not only serves our local veterans, it provides opportunities for our community to thank families for their service to our country. Habitat also provides critical home repairs to our local veterans in need. You can help in two ways: 1) donate yourself and/or help us to raise funds needed to fund the veteran builds and repairs and/or 2) volunteer your time to help build the house. DONATE: To make a donation to the Veterans Build you can donate online HERE or send a check to our office at 1023 W. 14th St., Winston-Salem, NC 27105. 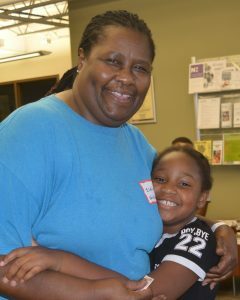 VOLUNTEER: Sign up to volunteer and explore opportunities to help veterans and other families HERE! No previous building experience necessary! We do not have veteran builds or repairs every day, but for more information about current or upcoming projects you can contact Debbie Cesta at 336.306.8258. 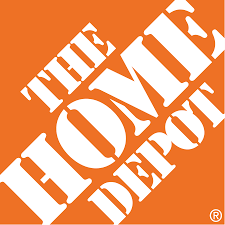 Habitat Forsyth has been working closely with Home Depot for years. 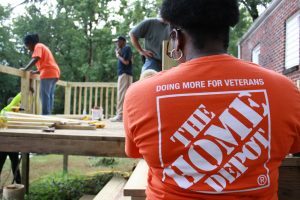 A 2016 $80,000 grant from the Home Depot Foundation, provided seed funding for three new homes that were purchased by three qualified veteran homeowners. The grant also enable Habitat Forsyth to partner with Senior Services’ and their Meals on Wheels client to conduct critical home repairs on at least twelve veteran’s homes to ensure their health and safety is not compromised. Fairway Independent Mortgage is a half-house sponsor for a Habitat home for a veteran home. Winston-Salem Regional Association of Realtors, one of Habitat’s longtime partners, is a partial sponsor of a home for a veteran. Our affiliate has been taking part in Veterans’ Builds for the past two years in an attempt to reach out to the military veteran community of Forsyth County. Habitat’s construction crew, community volunteers, volunteer veterans and active-duty military, and the future homeowners will build these homes. The program not only serves our local veterans, it provides opportunities for our community to thank families for their service to our country. Habitat also provides critical home repairs to our local veterans in need. You can help in two ways: 1) donate yourself and/or help us to fundraise the veteran builds and repairs and/or 2) volunteer your time to help build the house. VOLUNTEER: Sign up to volunteer and help veterans HERE! No previous building experience necessary! We do not have veteran builds or repairs every day but contact us for more information about current or upcoming projects. Habitat Forsyth has been working closely with Home Depot for years. An $80,000 grant in 2016 from the Home Depot Foundation provided seed funding for three new homes that were purchased by three qualified veteran homeowners. The grant also enabled Habitat Forsyth to partner with Senior Services and their Meals on Wheels clients to conduct critical home repairs on at least twelve veterans’ homes to ensure their health and safety is not compromised. Fairway Independent Mortgage is a half-house sponsor for a veteran’s Habitat home. Xaiver Justiniano, our Winston Salem Restore manager, and his wife Carli at their home dedication. Xaiver served in the National Guard. Community members had the opportunity to join together with the Catholic Community and other neighbors in Forsyth County to be a part of building Forsyth County’s second Pope Francis Habitat House. Elaine Holland, homeowner of the 2015 Pope Francis House. To honor Pope Francis for his commitment to social justice and reinvigorating the Catholic Church. To further Habitat’s mission of building and preserving homes. This was an opportunity to highlight the Catholic spirit of community service and Pope Francis’ values of social justice and mercy for all. This is an example of what Pope Francis challenges all of us to do every day in our daily lives. We hope you will be inspired too! Thanks to our 2015 Pope Francis House Sponsors: an anonymous donor and the parishioners of St. Leo the Great Catholic Church who also contributed thousands of volunteer hours. For questions or more information, please contact Geri Wright at 336.306.8254 or email geri.wright@habtiatforsyth.org. A Healing Build gives bereaved community members an opportunity to honor the loss of loved ones, support one another, and gain a sense of closure – all while constructing a safe and affordable home for a Habitat family. Hearts are healed through uplifting others. While community members are painting walls and landscaping yards, they are encouraged to meet others who have experience the death of a loved one; grief shared is often grief divided. This partnership is tangible and uplifting and active and – above all – hopeful. It’s a bold demonstration of “hope for the future” for all involved.